28/08/15. Shaqlawa, Iraq. 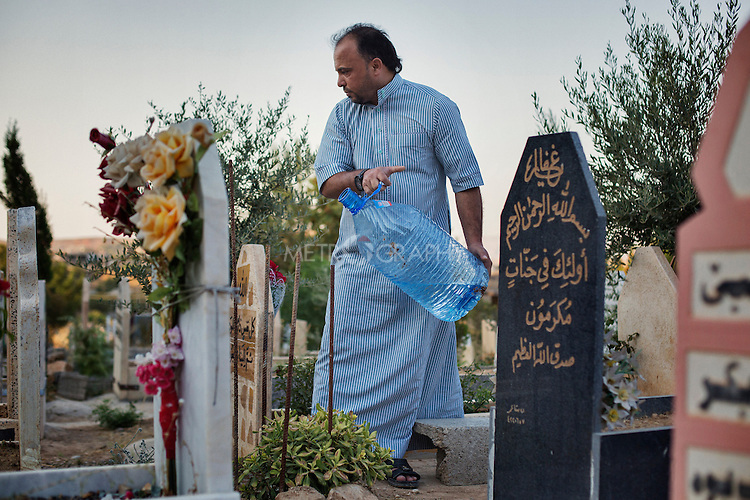 -- Jaser, from Falluja, washes his father's grave in the new part of Shaqlawa's graveyard. His father died two months after arriving to Shaqlawa as a displaced person, early 2014.